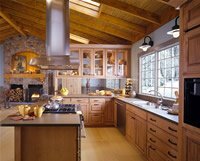 Since 1952, Lee Lumber has been supplying custom homebuilders, Chicago’s top contractors and architects with the finest millwork the region has to offer. They have grown to be Chicago’s largest lumberyard servicing not only those near, but expanding the business regionally into northern Indiana. Lee Lumber is somewhat unique in that they offer B2B services thru their main Lee Lumber website, but also capture B2C homeowners through their Spaces and Views website that features, projects, as well as products. Teaming up with WSI to provide fundamental SEO function to their newly redesigned websites was the next step Lee Lumber felt the need to take in order expand the service area. By getting a jumpstart with basic SEO fundamentals Lee Lumber, together with WSI will be able to build out strong digital marketing strategies for all of their target audiences.